Within three days of arriving in Switzerland we were joined by our 3 Guinea Pigs, along with another precious member of the family … my Colnago road bike! 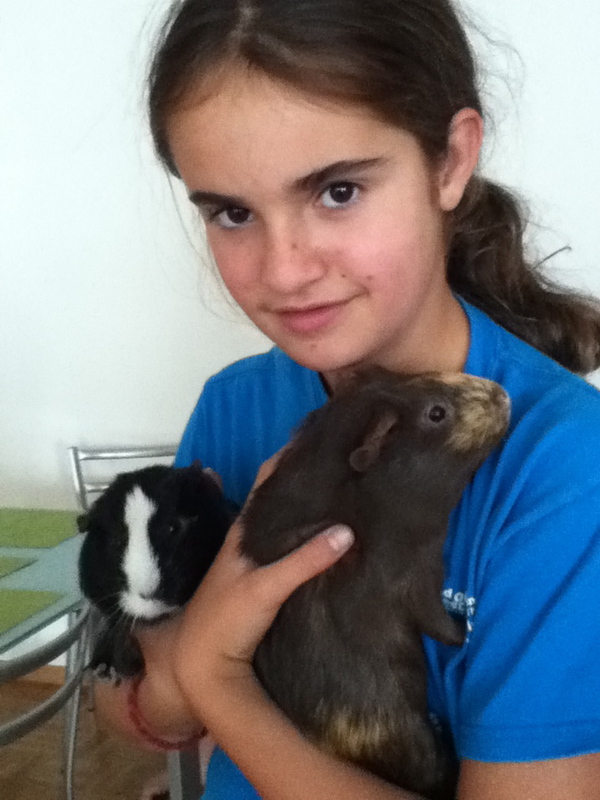 Nestle Canada really pulled out all the stops for us by arranging air transport for our Guinea Pigs – Boo, Holly and Pumpkin – affectionately known as “The Girls”. In addition, each of us was also allotted a small amount of air cargo that arrived within a few days of our arrival in the country. This was especially helpful for transporting heavy or bulky items that we need/want immediately upon arrival but that can’t fit in a suitcase. Knowing how great the cycling is here, I thought: why not air ship my road bike?! Our original plan had been to leave our Guinea Pigs behind with friends, for fear that they might not last the stressful trip overseas. We had a last-minute change of heart, however, and decided to bring them with us after all. The Nestle relocation staff were very understanding and managed to find air transport for The Girls at the last minute. On the very day that we left Canada, The Girls were picked up by Lorna from Lyon Petmobile Services and transported to Pearson International Airport where they received a veterinary inspection certificate pronouncing them “fit to travel” and were then booked for the next available flight. It turns out that they flew out of Toronto on Tuesday night, 2 days after we left. While waiting for the The Girls to arrive in Switzerland, the kids and I went to a local pet store to purchase a new cage, house, and other supplies for them, as our old cage was left behind in Canada (donated to an animal shelter). In the process we got an education in the strict animal protection laws here. First of all, if one wants a Guinea Pig here one is required by law to own and keep at least 2, because they are such social creatures and apparently do not thrive when alone. Keeping a solitary pet from a designated “social species” is considered abuse. 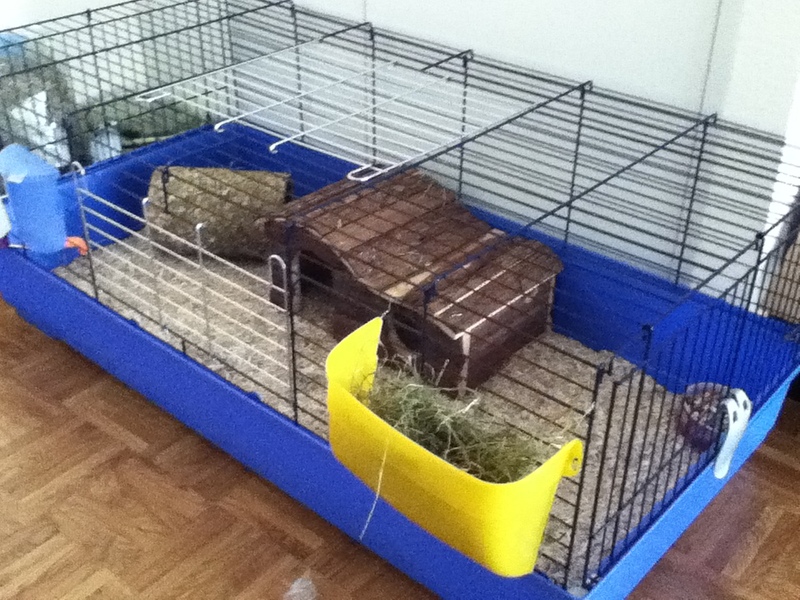 In addition, when I pointed to what I thought was a suitable cage for The Girls, the shop clerk informed me that she could not sell me that one because it would not meet the minimum size required by law for keeping 3 Guinea Pigs. Apparently, every pair of Guinea Pigs in Switzerland is entitled to a cage with the dimensions of at least .5 metres squared, with an additional .05 metres squared required for each additional pig. I am not making this stuff up! I checked the regulations! You can check them yourself here. (I wonder if the pet cage manufacturers had a hand in writing the regulations?). Anyway, I’m all for animal welfare, but it just seemed a little funny. Upon receiving word on Wednesday morning that The Girls had landed in Geneva, we spent most of the day waiting for the Swiss pet transport company to deliver them to our door. Raymond the driver finally arrived at dinnertime and handed them over. We were all very excited to be reunited with The Girls and there was lots of cuddling before we finally introduced them to their new Swiss monster home. The Girls cautiously explored their new home and sampled the local cuisine. I’m sure they have been affected by culture shock over the last few days, with all the new sights, smells and tastes. Hmm, sounds familiar! Finally, The Girls were not the only precious cargo to arrive during our first week here. The shipping company also delivered my Colnago CLX road bike! Switzerland offers incredible cycling opportunities and has a strong cycling culture – I see hundreds of members of my “tribe” out on the roads every day here. I didn’t want to waste any time in getting on my bike and starting to explore the area. There are beautiful (and flat) roads in the area that wind around Lake Geneva, as well as challenging climbs up into the hills and mountains above the lake. In addition, many of the most famous mountain stages of the Tour de France take place a short drive from here, including L’Alpe d’Huez! I had the foresight to switch to a compact front ring just before I left Canada (more Granny gears) so hopefully I will tackle some of those climbs in the next year or two. 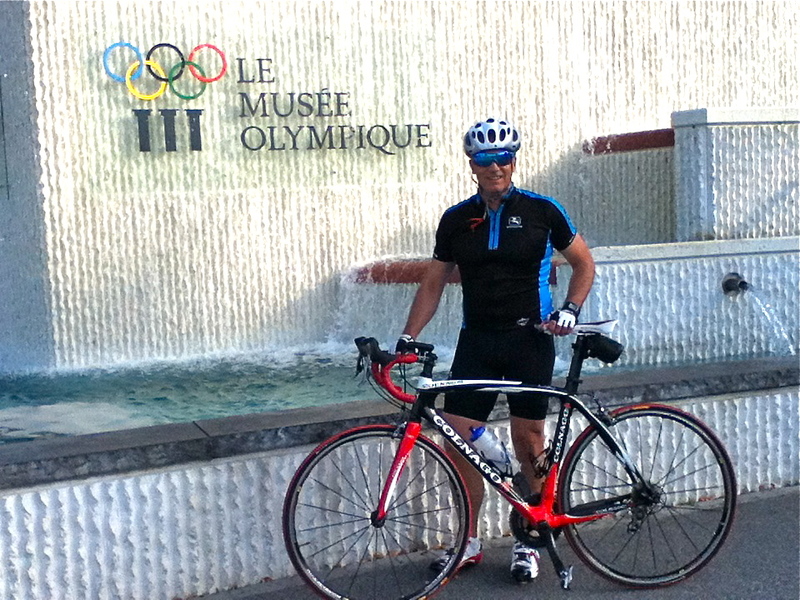 In the meantime, I am just happy to be able to hop on my bike early each morning and fly along the shores of Lake Geneva while taking in the spectacular setting. Somebody pinch me, because I must be dreaming! 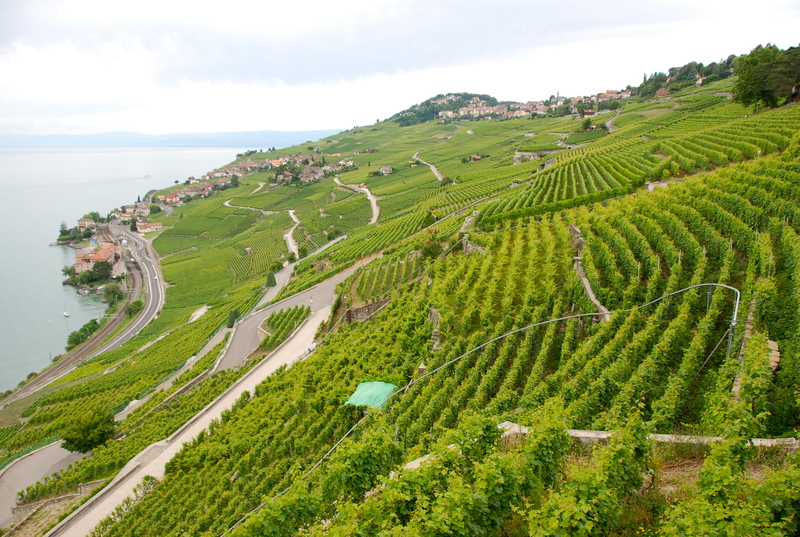 Incredible cycling in the Lavaux hills!